Are you in need of energetic balance? If so, my Kyanite Alignment Mist is for you. This mist was originally a part of my Alignment Ritual Set, but now its magic is available on its own! 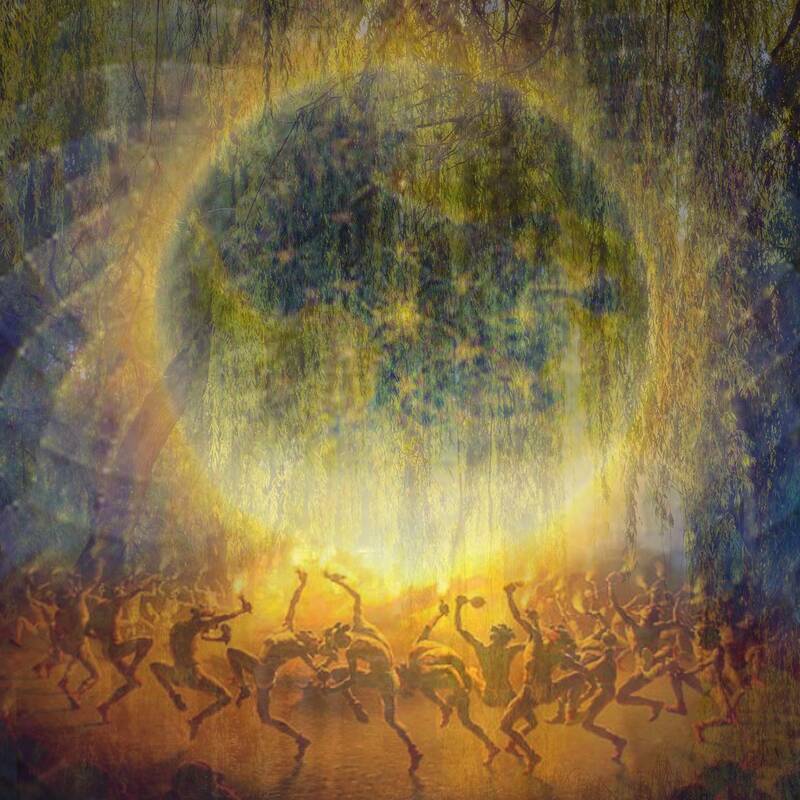 I created this mist to bring balance to your spirit and to lead you more deeply into your own inherent awareness. 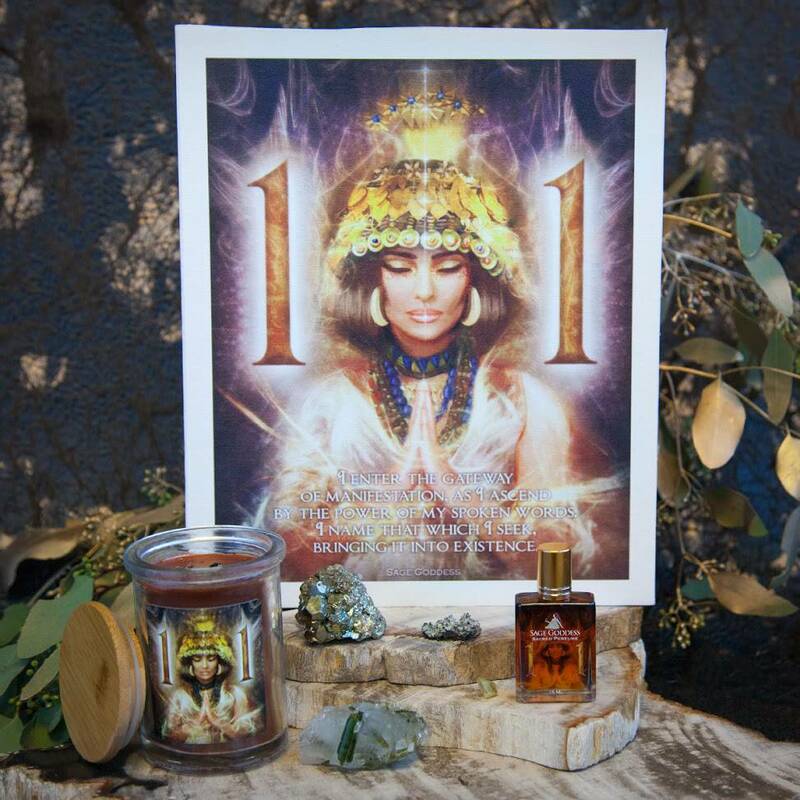 For those of you who seek tranquility, centering, and presence in your lives, this mist was created for you. Work with this mist before or after rituals, to start or end each day, or for a quick break amidst the chaos to find alignment, balance, and harmony whenever you’re in need. 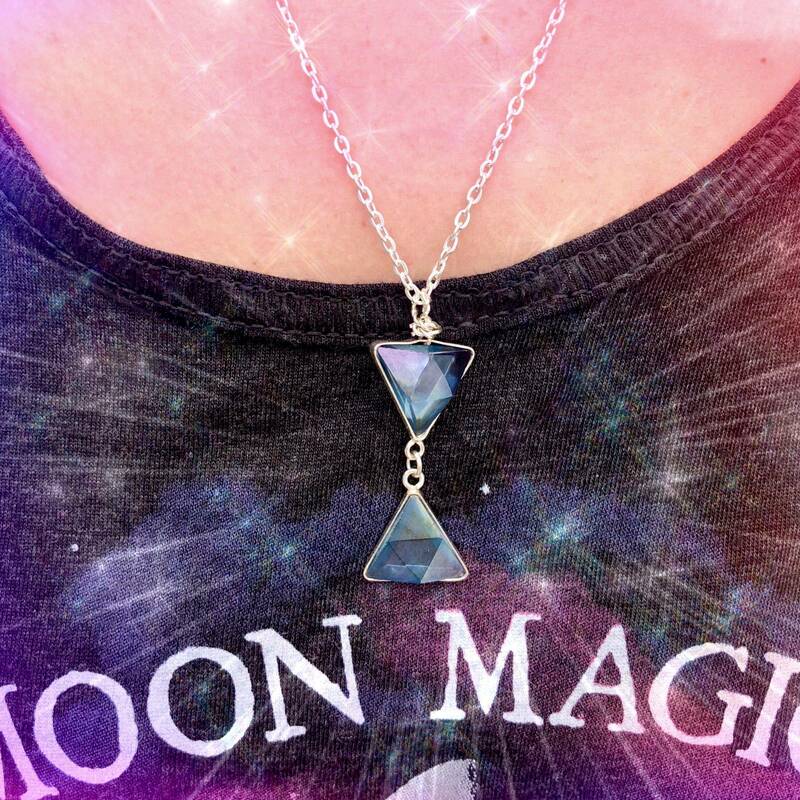 My Kyanite Alignment Mist was designed to bring physical and spiritual alignment during times of stress and challenge. Crafted right here at SG Headquarters, this mist was created with sacred, fragrant oils – including freesia, lavender, and neroli. This potion was infused with the essence of kyanite – a gemstone known to bring potent and immediate energetic balance and alignment. Each bottle includes a clear quartz chip stone, for amplified balancing magic. Spray this mist all over yourself or in physical locations where you need an energy shift or raised vibration. Try it in your meditation room to help purify and align your chakras, or on your yoga mat. I know that this Kyanite Alignment Mist will help you feel grounded, aligned, and prepared to face your path with determined, graceful vision. 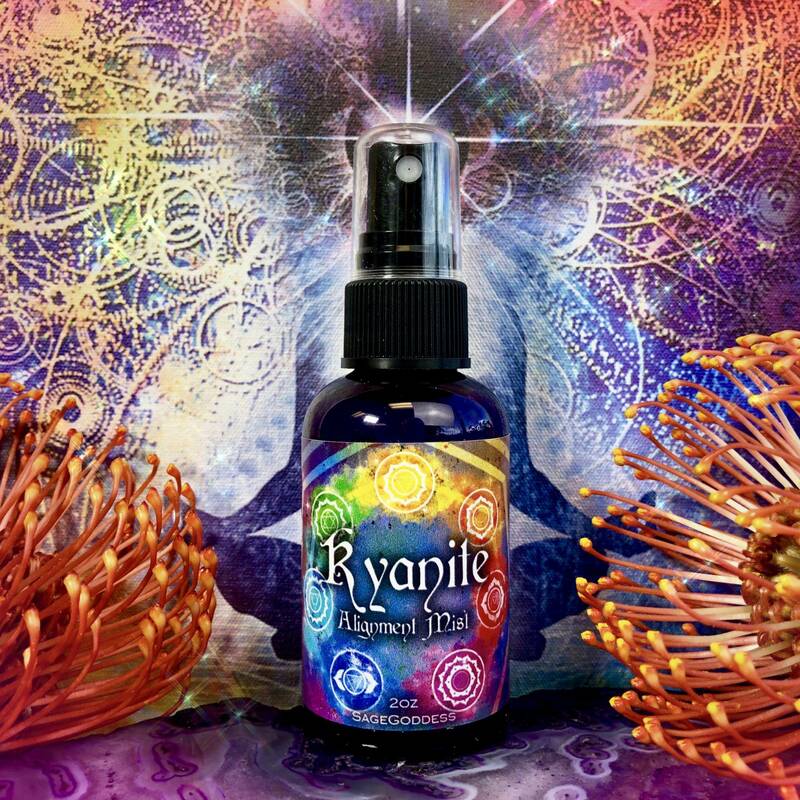 This listing is for one (1) 2 oz bottle of Kyanite Alignment Mist. Yours will arrive lovingly parceled, ready for sacred work.